The papers have recently been full of stories about the impact certain government decisions might have on the micro-lending industry. Apparently the decision to stop deducting payments from government staff directly from their salaries will adversely affect the companies that have lent them money. I suppose the assumption is that if public service employees have to make these payments themselves from their bank account they’re more likely to spend the money on having fun rather than honouring their financial obligations. That’s probably true of some of them although it’s certainly unfair to the vast majority of public servants who are decent and honourable. They’ll make sure that they pay their bills some other way. I’m sure that the banks will make it easy for people with debts to make their monthly payments by direct debit. Who knows, maybe the banks might come up with ways of transferring people’s debts from micro-lenders to the banks? At least that way they’ll be indebted to an industry that is effectively regulated? I imagine that the borrowers are the sort of people the banks want anyway, they’re all employed by the Public Service after all, they’re very unlikely to lose their jobs. OK, they might if they go on strike again and withdraw essential services but salaried Public Service workers must be a pretty safe bet for the banks. So I suppose I should feel some sympathy for the micro-lending industry? Even though perhaps just a small proportion of their victims, sorry I meant customers, will fail to make the repayments it will nevertheless hit the lenders hard and in the place it hurts the most: their corporate bank balances and the miserable dividends they’ll be able to pay their. So yes, I should be really sympathetic towards them. My heart should bleed. Sorry, I can’t keep this up any longer. It’s hilarious, it really is. Micro-lenders are finally facing a challenge. They’re finally facing the reality of the moneylending marketplace. Their deeply creepy business model is facing the prospect of failure for the first time. My heart does not bleed for them, not even a little bit. My reaction to their plight? Tough. And that’s the polite version. The wonderful irony is that this challenge isn’t coming from a regulator or some nasty, mean and unforgiving government agency, it’s just coming from the marketplace. For reasons beyond their control much of their customer base is being removed and I think it’s really rather enjoyable. Yes, I know it’s mean and heartless of me but I don’t care. Every so often the universe aligns itself in the direction of justice and this is one of those occasions. For too long the micro-lending industry has had thing their own way. The disreputable part of their industry has been abusing people shamelessly for years. Even the more reputable lot has been charging shocking levels of interest. Just a few months ago we received a complaint from a victim of one of the less scrupulous loan sharks. Sorry, am I meant to call them all micro-lenders? The victim had borrowed P1,000 for 2 months. However, and he claims without foreknowledge, the borrower ended up in hospital for a while and was unable to pay the shark his money back. However, being a decent guy he kept the shark informed and was told not to worry about it. Indeed he wasn’t worried at all until he finally got in touch with the shark nine months later only to be informed that he now owed the fishy character a massive P10,500. Before you react badly I feel obliged to say that the maths was correct. Ignore an initial debt loan of P1,000 for 9 months at an interest rate of 30% per month and you will indeed end up owing P10,604. For comparison, if he’d borrowed the same amount from a bank (I’ve used the highest monthly bank interest rate I could find) he would have ended up owing a mere P1,838. It was when faced with this enormous bill that he came to us, asking if there was anything he could do to avoid this hideous debt. Just before he contacted us he said the shark had threatened to write a letter to his employer and to take legal action against him. The wonderful irony is that being taken to court by this slimy fish would be the very best thing that could have happened to him. In simple terms a loan shark cannot enforce a debt of over P10,000 for an initial loan of a mere P1,000. The court will laugh in the loan shark’s face. However many micro-lenders are relying on borrowers’ understandable fear of going to court to extort these enormous repayments. Nobody wants to end up in court but the irony is that that’s where the law is best applied. Outside of court the shark can demand whatever he wants. As soon as real law is applied things are more decent. Of course I’m not suggesting that the big micro-lenders, the ones that are currently spending all day in the lavatory wondering if they’ll still exist in a few months time, are like this. Of course they’re not. But am I sympathetic to any micro-lender? No. Let them stay in the toilet where they belong. The management team at Beares for fixing a problem with maturity, professionalism and style. "This is to notify that new updates have been released for Skype. * Up to 5-way group video call. * Improved video snapshots gallery. * Improved handling of calling attempts made when the user has run out of credit. Little things like incorrect spacing around commas and colons and inconsistent use of fullstops. Sounds trivial but do you think a big company like Skype gets that sort of thing wrong? The link isn't actually to the Skype web site. The site it links to was only registered yesterday. I'm not the only one suspicious about this. Someone's trying to get you to pay for "add-ons" for Skype. When you go to the web site and click on Download you visit a web site in Russia demanding your credit card details. In April 2010 I towed my car to a workshop for repair. The main problem was it wasn’t not engaging the gears properly or running smoothly. The workshop manager agreed with me that he could fix the car for P12,000 including panel beating some dents and making the car engage the gears. After a month he phoned me saying that the problem is the gear box so I can take the gear box for repair then I did that because I was desperately looking for transport and I want the car to be on the way. I already paid him P6,000 as a deposit and agreed as soon as he fixed the car I will pay the balance. He phoned to say the car is ready but when I get there it still gave the same problem. I asked him to give me the car so that I can take it somewhere else as it seems he is unable to fix it but he promised to sort the problem out because he want to give me the car running as agreed. After some months he said I must pay the balance and take the car in the same condition. I told him he had delayed me and that I take the car and the money that I already paid would be for the job that he has done but he refused with the car up today. I paid a lot of money and the car is not running. I reported him to Consumer Affairs but nothing happening. We probably get more complaints about second-hand cars and car repair workshops than almost any other type of business. In your case I certainly think you’ve done more than enough. You’ve paid this guy P6,000 and he appears to have done virtually nothing that’s useful. He didn’t even repair the gear box, you had to hire someone else to do that for you. I’m not quite sure from what you’ve said, does he still have the car? If so then enough is enough. Write him a letter and deliver it to him saying that he has 7 days to deliver your car back to an address you specify or you’ll take whatever legal measures you feel necessary. Mention that Consumer Watchdog and The Voice already know about the situation and aren’t afraid to let their readers know more about this story. Like the name of the workshop? Do they want to be reasonable or do they want their reputation disappearing overnight? I bought a second hand car in May from one of the car dealers around Gabs for P33,000, but I realized that it has a problem with idling. I took it back to the guy I bought it from, but he referred to one of his mechanics in Mogoditshane. I don’t really know what the mechanic did to the car, but since then I’ve visiting different mechanics to try and fix the car. 2 weeks back the first mechanic admitted that while he was trying to fix it the first time he damaged something in the car and said he will fix it. He did try to fix it and since this week he has been taking my car to his workshop trying to fix the problem, but up to now the problem persists and there is no progress. I once tried to negotiate with the car dealer to exchange the car but he is not willing and he says if he exchange it he will get it at lower value (P20,000) since he is going to spend some money on it trying to fix the problem, but I bought for P33,000 four months back and it has been giving me problems all the time. What do you think I should do? To begin with you can insist that the first mechanic, the one who confessed that he damaged the car, can at least tell you precisely what he broke. You can then insist that he helps to fix it. Even if he can’t fix it himself he needs to help you somehow to repair the damage. As for the dealer who sold it to you in May, I suspect there’s not much you can do. No doubt somewhere on your receipt it will say “Voetstoots”, “Sold as seen” or “We don’t give a damn if it breaks down”. Of course they can’t abandon all legal responsibility but they can’t really be held accountable if something goes wrong a few months later. They certainly can’t be held responsible for an independent mechanic breaking something unless the mechanics was actually working on their behalf? Or was he working independently? That’s quite a common trick you’ll see from second-hand car dealers. They’ll claim that their mechanic operates independently and that as a result they won’t be held accountable for any damage he causes. Let us know if you make any progress? 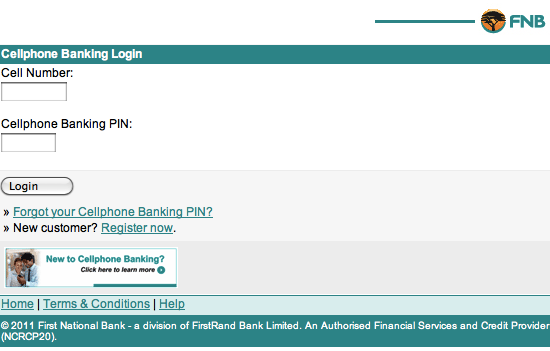 We have noticed that the fraudsters use new and sophisticated way to steal money from the account of FNB Customers and because of this, we have launches new security measures for all cellphone profiles to prevent them from being hacked by this fraudsters. the attached file and follow the instructions. Note that this activation is free and compulsary and failure to do this will result in suspension of your account as FNB will not be liable if money is taken from your account. Download the attached file to continue and do not be ignored. Of course you KNOW not to enter any details like this, don't you? You KNOW not to open ANY links that appear to have been sent to you by a bank, don't you? A response from a "FDH" supporter. Comments from "Alexi" regarding "Sir Edward Cooper" and "Fundación Donaciones Humanitarias". I haven't changed a single word, but inserted some comments, this time in blue (I love variety). Curious how the language, the tone and the structure are to that of the email from "Sir Edward". Is that just a coincidence? "Today the legitimate [Says who?] founts of honour who may bestow knighthood are the lawful heads of existing states [That's just silly, do you mean that the president of the USA may bestow knighthoods? I think not. ], heads of non-reigning royal (sovereign) dynasties recognised at the time of the Congress of Vienna in 1814 (hence the numerous German dynasties but not the many soi-disant "pretenders" to the long-vacant Throne of Constantinople), the Holy See (the Papacy) [don't start me on that subject], certain de jure governments in exile, a few Orthodox Christian patriarchs and bishops, and the grand masters of a few historical military-religious orders of chivalry mentioned here (the Order of Malta most notably)". My questions remain the same. Why is there no trace of FDH ever having given money to anyone? Why is there no trace of anyone called "Sir Edward Cooper" other than this absurd site pretending to be the "Kingdom of Hawaii" where he appears as "Minister of Foreign Relations"? Why won't he give us any clue where this mythical money comes from? Why did the potential recipients in the South African Government tell me they just laughed when they saw the letter on behalf of "FDH" and referred it to the law enforcement authorities in South Africa? Why does he expect anyone to believe that unknown benefactors just give away more money than a country of 50 million can produce? How long does he think he can keep this lie going? If you want to comment on anything I've said on this blog then you must give me your name and contact details. You can ask me to keep it confidential and I'll honour that, I promise. However, no anonymous comments will be published any longer. The reason for this is simple. I've had enough of scammers taking on an assumed identity to argue against what I've said. No verifiable name and contact details, no comments permitted. So, "Alexi", you appear to have created your profile on Blogger just to make one comment. I was the first person ever to look at your profile. Your comment will not therefore be published until you identify yourself. I doubt you will because I think I know who you really are "Sir"! Why has BURS, the Botswana Unified Revenue Service, decided to make life even more difficult for businesses to operate? Surely these days they should be making life simpler, not more difficult? Surely their job is to make it easier, quicker and cheaper to pay your taxes rather than slower, more expensive and much more bloody irritating? I simply don’t understand two recent decisions by our otherwise sensible tax authority. Firstly they’ve instructed all taxpaying companies who pay rent to withhold 5% of their rent and pay that directly to BURS instead of the landlord. I know why they’re doing this of course, it’s obvious. There are landlords out there that aren’t declaring their rental income and evading paying tax on it. That’s why they’re making tenants identify their landlords when they pay this 5% to BURS. But why are BURS making life even more difficult for the law-abiding, rent-paying tenants rather then the tax-evading landlords? I’m not sure if attempted murder is the right charge but whether it is or not I bet the standards of hygiene at the Rustenburg bus rank are excellent these days. Just the thought of prosecution for attempted murder is enough to ensure excellent standards. So why aren’t BURS doing the same thing instead of this silly withholding business? Why aren’t they coming down on naughty landlords like the proverbial ton of bricks? The irony is that BURS already has a reputation for toughness. I spoke to a friend who operates a large business employing over 1,000 people and he said he wouldn’t dare try and outsmart BURS. They’re way too scary to try fooling. He pays his taxes without fail. All it would take is for a few landlords to be prosecuted for tax evasion and I promise you that landlords across the country would become the most law-abiding business people. OK, another problem. Even sillier than the 5% withholding tax is another new rule that BURS has apparently introduced. In 2011, already into the second decade of the twenty-first century, in the days of internet and cellphone banking, we now have to pay all tax amounts below P500 in cash. Did you read that? IN CASH. This is simply silly. Speaking personally this has now become an enormous pain in the backside. Just last week one of our team went to pay two things to BURS: our monthly tax bill and also the 5% withholding tax on our office rent. The first was OK, we paid that by cheque. However my colleague was sent back by BURS who refused to accept our cheque for the 5%, around P300, and demanded cash instead. Don’t they understand that this is yet another extra burden for businesses? Aren’t we supposed to be encouraging businesses to come to Botswana, invest money and employ and train us? Aren’t we supposed to make it easier for small companies to start up and make money? Aren’t we interested in making it easier for law-abiding businesses to operate? Instead we seem to be adding to the bureaucracy and regulation, not cutting it back. Of course I’m not opposed to some level of regulation and control. That’s the nature of the social contract between people and their elected government. They protect us from crime, disaster and invasion and in turn we pay our taxes and obey the speed limit. That’s liberal democracy. Liberal because all things are permitted until there’s a good reason to forbid them, democratic because we the people can influence what things are forbidden. Two observations for you. First, can you identify the last time that two genuine liberal democracies went to war with each other? Answer: it’s never happened. In liberal democracies people are too busy making money to feed their children and improve their lives to go to war with people in another country doing the same thing. It’s not natural for such countries to go to war. Second. It’s exactly 50 years since the Government of East Germany constructed a wall through the middle of Berlin with the specific intention of preventing East Germans going to West Germany and being exposed to dangerous things like liberalism, democracy and the right to do as they pleased. These were such ghastly things that the disturbed Marxists in charge were convinced that their people, their flock, their sheep-like people couldn’t be trusted with them. I have a slightly better view of humanity. As I said, I’m not against a healthy dose of regulation, just to make sure that people obey the laws and play fairly. I’m also a big believer in taxes, so long as they’re fairly applied and don’t cripple the people who make the money to pay them. However, and it’s a big however, the level of regulation and taxation must be so high that it stifles the willingness of businesses to operate. If this all goes wrong you know who suffers, don’t you? You and me, ordinary consumers who just want to buy things. BURS are running the risk of preventing us from doing exactly that. An email from "Sir Edward Cooper"
I've had a reply from "Sir Edward Cooper" from the "Fundación Donaciones Humanitarias" which I think it's worth quoting in full, without alteration. I have, however, commented in red where i think it's worth it. Here goes. As for the funds we offer, it is obvious that here too your knowledge of banking is limited to just going to a teller for a monetary withdraw or a deposit. [Agreed, I'm not an expert, I've only ever worked with 6 different banks.] You again need to educate yourself Mr. Harriman for had you had the brains to understand the meaning of repatriated funds [I do actually, aren't I clever? ], you would not have been so ignorant, for that is indeed one thing that you are. As per your scammer accusation, like I stated, show me where the scam is. [This is actually true. I don't know yet where the scam is but there are too many unanswered questions for this to be credible.] Thus since you cannot, I herein provide you with a friendly advice. Make sure that what you write next is an apology. [Let me think about that. Errrrrr. The answer is No.] Failure to do so, legal measures will then be taken [Bring it on] and since our foundation has no monetary problems, I suggest that you get a very good attorney [Got one thanks, never needed to use them] to defend you as I believe that the Botswana government will equally want to strongly speak with you regarding changing your tune [Why???]. I am open to disclose where the funds are from for I have no problem with that, but only to those in Botswana who hold top government positions, such as; Pres. Seretse Khama [Unfortunately President Seretse Khama died in 1980, I think he means President Ian Khama Seretse Khama?] or his Vice President, Mompati Merafhe [Correct, well done] or the Minister of Finance & Development Planning Kenneth Matambo. [Congratulations on being able to use Wikipedia.] Persons such as you who appear to be nothing more than independent seekers of bribery and blackmail [No, just the truth], never merit such privileged information. Why did "Edward" claim initially to have been knighted by Queen Elizabeth II, only to change this claim when I suggested it wasn't true? P.S. In future please refer to me as "Sir Richard", I've decided that if he can do it, so can I. Technically of course I'm now "Rev Dr (Fake) Sir Richard Harriman". So show some respect in future, OK? I received an email from Sony Ericsson telling me that they were giving away free laptop computers. Is this true? This is nonsense. 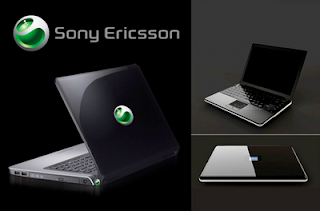 Companies like Sony Ericsson don’t give away free laptops. Not ever. This is a hoax, one that has been circulating, according to Sony Ericsson themselves, for over 11 years. It’s not true and please don’t waste your time, other people’s time and your internet bandwidth by circulating it any further. PayPal is a very useful way of paying for purchases online. I’ve used it on a few occasions and I’ve found it to be safe, secure and reliable. However, consumers need to be very cautious not about PayPal itself, but when PayPal is used as a cover story for “phishing” attacks. Phishing is a common way of obtaining personal, confidential and secret information like your ATM PIN, your internet banking user ID and password and even other details like your passport number. How, you might wonder, do they get these secret bits of information from you? It’s simple. You just hand them over when they ask for them, it’s as simple as that. Phishers do this by linking you to a web site that is a very good copy of the normal web site for your bank, or as in this case, the PayPal web site. Trust me, the web sites they construct are very convincing. In fact they’re often stolen copies of the genuine site with only one key difference. When you press the Submit or Send button, instead of your information going to the genuine web site it goes somewhere else, a web site that stores all the personal data you’ve entered. I did a little digging and discovered, once you looked closely at this downloaded web page, that almost all of it was made of elements from the genuine PayPal web page. Except one. When you hit the Submit button all the data is sent to a site hosted in Italy. Of course it’s not the fault of the Italian web site owners, their web site has itself been hijacked and is being used to send the data on to somewhere else. The moment your information reaches this next location you can rest assured they’ll be spending your money. And it was YOU that gave them the details they needed. I hope that by now people know never to open links from emails that appear to be from their bank or from companies like PayPal. I hope you realize that no legitimate company will ever do this. I hope that internet users by now know always to be extremely careful when they enter personal details like their banking passwords and PIN number? The rule is simple. If you have the slightest doubt, contact your bank the old-fashioned way and get them to confirm that what you’ve been asked to do is genuine. TVI Express is now utterly and completely illegal in Indonesia. Not just a bit illegal, utterly illegal. So that's Namibia, Lesotho, the US State of Georgia and Indonesia that have completely outlawed them, Australia and South Africa that has them on the run and the entire world who understands that they're a pyramid scheme. Where next? See here. You'll need to use Google Translate to read it, unless you read Indonesian? A phone call from "Fundación Donaciones Humanitarias"
I got a call this afternoon, all the way from Hawaii, from "Sir Edward Cooper" who it is claimed operates this donor organisation, the "Fundación Donaciones Humanitarias". He wasn't too happy that I'd suggested he's a scammer. However, despite saying clearly that he's genuine he wasn't able to give me any evidence of that, any reason why I should believe him. To begin with he refused to say where the truly staggering amount of US$ 800 Billion would come from. He couldn't explain why a private donor would give a country twice it's GDP as a gift. He certainly couldn't explain why an organisation with that amount of money had never been heard of before. He denied the report in a City Press article a few months ago that he was connected with a scam calling itself the "Pureheart Foundation". He also seemed a bit confused when I asked him about his knighthood. I asked him who had knighted him. "Queen Elizabeth" he said. I suggested that this wasn't true, there's no record of that. He then said that he didn't mean Queen Elizabeth, the British Queen, he meant the Queen of Hawaii. I seem to recall that the USA doesn't have Kings and Queens any more? He also refused to tell me what his nationality might be, other than that he isn't an American citizen. He couldn't explain why the potential recipient of this donation, the South African Government, think he's a scammer. He did say that he'd met President Zuma though. He also said that he'd been in contact with the Government of Botswana about the donation but couldn't tell me who he spoke to. It was funny when he started name-dropping about Botswana. He mentioned "Mr Khama" and "Mr Merafhe". He was clearly reading from the Botswana Wikipedia page. He couldn't, in fact, give me any reason, to believe anything he said. Finally, he promised that he would provide evidence in due course but wouldn't say when or how. He did, however threaten me with legal action although he didn't tell me what for. Apparently I'm going to have egg on my face soon because of my lies. More on "Fundación Donaciones Humanitarias"
"At the time, Cooper was the head of another organisation called the Pureheart Foundation"
The Pureheart Foundation was a scam, another organisation that claimed to offer grants to developing nations. Does that ring a bell? Is it possible that "Sir Edward Cooper" is in fact "Harold Gregg", someone who has been behind many other scams? "a humanitarian foundation connected synergistically to multiple non-profit and profit activities and organizations aiming to achieve our mission." They sent our reader a copy of a letter he was told had been submitted to the South African Government offering them a grant (not a loan) of, get this, US$800 billion. No, not millions, BILLIONS. This is more than the entire GDP of South Africa. That's roughly P5 TRILLION. The amount of money is enough of a clue that this is bogus. Couple that with free email addresses, cell numbers and there being no evidence of them ever donating anything to anyone and you'll understand why I'm suspicious. They claim to be "affiliated" with the United Nations but I can't find any trace of that either. Nor can I find any confirmation of their emailed claim that "Interpol cleared the persons involved and also FDH". However, here's the interesting bit. The person who wrote the letter offering this fortune is a real individual. I know, I've spoken to him. He is traceable. That's why I've removed his details from the letter. So what's going on here? Well, it's obviously a scam. I spoke to the person this letter was addressed to (a senior manager in the South African National Treasury Department) and she confirms that it's a nonsense. She also confirmed that investigations are underway by the relevant authorities in South Africa. The person being scammed is the local guy who wrote the letter on FDH's behalf. You can bet that sooner or later that he'll be asked to cough up some cash in anticipation of his share of the $800 Billion. You don’t have to be stupid for fall for a scam. Despite what a lot of people think it’s perfectly possible for smart, educated and clearly intelligent people to fall for a lying, cheating scammer. Part of the reason is economic. Scammers have no interest in stealing money from people who aren’t successful and who don’t have any money. They deliberately target people with sufficient good luck and skill to have some cash in the bank, otherwise they’re wasting their time. We received an email last week from a consumer who was just about to start a new business. He came to us for advice before he finally committed himself. This is what he said. “I have been in negotiations for a few months with a certain individual called Malcom K. Claxton (a private investor based in the UK) who says he is willing to finance a project that I want to start here in Botswana with up to one million US dollars as a loan. I came across him while doing some research on the internet. Recently he told me that I must employ a UK based attorney to handle the legal part of the transaction for me according to UK laws. All my instincts told me that this was a scam and it didn’t take much time to confirm this. The clues were there. Firstly, the only trace I can find anywhere of this “Malcolm K Claxton” is a handful of postings on web sites announcing that he is a private individual who invests up to $20 million with people around the globe. 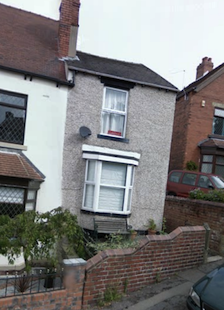 He claims to operate a company called "MKC Investment Funding" based at an address in Sheffield in the UK. However, and this is where the story begins to unravel, there is no such company registered in the UK. I know, I checked. Also, no such company is registered with the UK’s Financial Services Authority. I know, I checked. What’s also interesting is that he gave his potential victim an address in the Sheffield that also doesn’t seem correct. In fact the address is a very small, rather humble house that I can’t believe is the nerve centre of a multi-million dollar investment enterprise. It’s the house in the middle of the picture. In fact this house is just an address picked at random. It was quite easy to find out that the person who really lives there is someone completely different and genuine. Of course the commonest clues were present as well. A free email address and nothing more than a cellphone number. Real investment companies have a bit more than this I think. The business with the UK attorney he wants our reader to engage is more complicated. The name he gave is that of a genuine UK lawyer. Also, the name of the law firm is genuine as well. However, that lawyer doesn’t work for that firm. That’s why I took the names of the lawyer and the firm out of the email above. They’re both genuine, both innocent and neither has anything to do with this scam. That’s what it is of course. It’s a scam, an advance fee scam. What the scammer is after is that $5,000 legal fee. You can bet that as soon as that’s been sent there will be more and more demands for extra money until the then poor victim has run out of money to have stolen. However this is a scam with a slight difference. I’m sure we’re all used to scammers emailing us with unbelievable offers of cash, but this one works the other way round. You approach him. But it doesn’t change a thing of course, it’s still a criminal scam. The biggest clue is a bit more fundamental though. I’m no expert on international finance but I don’t believe this is how real investment companies work. Most importantly real investors will be slightly old-fashioned and will almost certainly require a face-to-face meeting with you. And lengthy investigations, audits of your financial statements and lots of references from your customers, bank manager and everyone else who knows you. Investment companies do not operate entirely by email. Be warned and be skeptical! It asks you to open an attachment to the email that it implies is a label that will help you pick up your package. Please, under no circumstances open this attachment. The attachment in this case was a virus program that could have caused untold damage to your computer. Most probably it would have enabled your computer to be hijacked and used to further distribute viruses and spam email. Please be careful with unknown, unexpected attachments to emails. Most importantly get up-to-date anti-virus software for your computer. It doesn’t have to cost any money at all. I’ve put link on our blog to two of the most popular anti-virus packages, both of which are entirely free. Rodney at Pick N Pay at the new Sebele Shopping Centre in Gaborone for going out of his way to help a customer. I would want you to check if Omega Global University is registered in the Zambian capital. Their Professor Sibiya told me that they are registered in Lusaka. "Omega Global University" is NOT a real university, it’s entirely fake. We covered this establishment last year when it was announced in the local press that someone had been awarded a "Professor of Divinity Degree" by them. This fake "university" has a habit of jumping from one web site to another. They've previously used “omegabibletheologicalcollege.com” and “omegaglobaluniversity.com“ (both of which no longer work) but have now moved to ogu.org.za. Along with this change in their web site they now claim to be based in South Africa and give a postal address in Nelspruit, not Zambia any longer. Although they are registered as a non-profit organisation in SA this doesn’t mean that any qualification they offer is worth even the paper on which it is printed. They’re not accredited by any real academic accreditation body. This is highlighted by the fact you are invited on their web site to apply for an honorary degree. You have to buy it of course, for real money. I think that say all you need to know about them. Finally it's important to note that any "qualification" awarded by this fake organisation would NOT be recognised anywhere in the world. It wouldn’t take an employer very long to realize that one of their “degrees” is fake. I asked a designer at Gaborone station to design a suit for me. I realized when l went to collect it that the coat was small. The lady who took my measurement said l should collect it and use it then return it so that they make a new one for me. I returned it on Tuesday and the owner of the factory proved to be aggressive and stubborn. The lady who asked me to return it has since left the factory. I didn't use it at all and decided to use my old suit. Help. The situation as far as your rights are concerned is simple. By failing to give you a suit of the correct size they firstly breached Section 13 (1) (a) of the Consumer Protection Regulations that says they've failed "to meet minimum standards and specifications" if the commodity sold "does not match any sample or description given to the consumer". They have also breached Section 15 (1) (a) which says that they've failed "meet minimum standards of performance" if the "the service is not rendered with reasonable care and skill". Surely making a suit the wrong size falls into this category? I suggest you give the manager a letter saying that they have breached the Consumer Protection Regulations as I mentioned above. Give them 7 days to offer you a complete refund. Tell them you've spoken to us and we're taking an interest? We covered the so-called "World Quality Commitment Convention" awards when they were soliciting victims last year. This scam is remarkably similar to the "Bizz Awards" scam that we covered in the past. Both of these awards are deceptive. They're not genuine awards that an organisation earns, they’re an award you pay to receive. "The results of the voting process are confidential, in that the exact source of nomination of your company cannot be revealed." That's just a bit too suspicious. There's no evidence that this is based on any genuine evaluation. Last year if you wanted to receive your award they demanded around €3,800 (about P35,000), which includes a compulsory stay at the hotel of their choice. It doesn’t include the flights and other travel and living expenses. Most telling last year was that one of the organisations they approached and offered an award hadn't traded since 2003. I think that says all we need to know. Please don't fall for this scam, it'll just cost a small fortune that your organization can spend better elsewhere, like a Christmas party never to be forgotten! I don’t ever gamble. Well, not in casinos or lotteries. That’s mainly because I’m pretty good at maths. I know that the chances of winning in either of these situations are seriously low and I know that, on average, gamblers spend more money than they win. Yes, I know we’ve all heard of people who’ve won a fortune but that’s only after hundreds, thousands, perhaps even millions of other less fortunate people have lost. It’s the loser’s money that the winners win. And there’s still enough left over to make healthy profit for the organisers. Frankly I’d rather keep my money and play safe rather than throw it into a big hole marked “gambling”. Gambling is about the unrealistic management of risk. What you and I need to spend more time doing is realistically managing the risk we face. The best example I know is insurance. Insurance is an unbelievably useful thing. I know from personal experience. I bought a second-hand car from a major dealership a year ago. It was only a few years old but because it was fairly new they offered me an extended warranty for just over P3,000. My initial reaction was to say no, but I gave it a moment’s thought and signed on the dotted line. Last month it was diagnosed as needing a new gearbox and the extended warranty is now contributing P12,000 towards the cost. That was a good gamble on my part and I’m feeling pretty proud of myself for saving nine grand. However I’ve been personally accused on several occasions of taking unnecessary risk. Mainly this resulted from me calling the so-called “traditional healers” who advertise in local newspapers as a bunch of lying, cheating, scheming scumbags. Despite some of my more superstitious friends and readers who believe there might be something in their miraculous claims, I genuinely, truly believe that these people are liars. They know they have no paranormal skills, they know they can’t cure the disorders they claim to control and they are perfectly aware that they are criminals. I am convinced that they are consciously abusing the public. They are a very low form of life and they deserve to be condemned. However, even though I’ve had some threats from these scumbags, including promises of instant death, lightning strikes and eternal damnation, I’m prepared to take a chance and run those risk. None of these things has happened yet and I think it’s a fairly safe gamble they won’t ever. Unfortunately not everyone has my confidence in mathematics. Where should I begin? Do I really need to say that when you enter a lottery, unless you buy every single available ticket, there’s no guarantee that you’ll win? Do I need to say that just wanting to win isn’t enough? Do I need to say that gambling just isn’t fair, that some times (in fact almost every time) you lose? Unfortunately it’s only when you learn the mathematics of lotteries that you realise that they’re simply not worth your time any money. Ask yourself this every time you see a competition. Are they being generous or being selfish? Personally I think that the ignorance, or perhaps I should be polite and say “naivete”, that leads people to throw their money into lotteries and casinos is exactly the same that leads people into pyramid schemes. 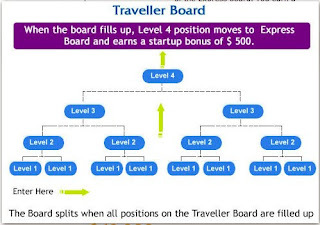 Anyone with a basic knowledge of maths will know that a business model that offers income in proportion to the number of people you recruit, and the numbers they in turn recruit and so on, is destined to fail. We understand exponential growth and understand that it can’t be sustained in a limited population. We understand that pyramid schemes, all pyramid schemes, without exception, are destined to fail. But those without an understanding of maths are at a profound disadvantage. They don’t understand, for instance, that anyone who joins a criminal scheme like TVI Express is going to lose money. That’s just a fact. Just as it’s a fact that they’re criminals. TVI Express has been outlawed in Namibia, Indonesia and the US State of Georgia. They’ve been investigated by authorities in a host of other countries and without exception these authorities have ended up warning consumers to steer way clear of them. A matter of days ago it was also outlawed in Lesotho. With a little luck it’ll be outlawed here in Botswana as well. Unfortunately until it’s outlawed here people will continue to fall for the lies that TVI Express people tell to recruit people and steal their money. But do I blame the victims? No, they can be forgiven for naivete. Of course I blame the TVI Express distributors here and the founders abroad. Who are exploiting the mathematically naïve. I also blame a rather unlikely organization. I blame the Ministry of Education for not sufficiently educating our kids to protect themselves from scammers like TVI Express. I blame our educators for not equipping students with the skills necessary to protect themselves. I blame our national failure to teach maths in a fun way to more pupils. Not teaching our kids maths is perhaps the greatest gamble we can take. The staff at the Sedia Hotel in Maun for “welcome with a smile”. I received an email from DHL saying that they had failed to deliver a parcel to me because the address was wrong. Is this true? First question. If the address was wrong, how did they know who to send the email to? Also, why isn’t the email addressed to you personally rather than just “Dear Customer”? More worrying was that attached to the email was a zipped file. “Zipping” is a very popular way of compressing or reducing the size of a file that is attached to an email but it also can be used to hide what the attachment actually is. In fact the attachment in this case was a virus program that could have caused untold damage to your computer. For once this isn’t in fact a scam. Nobody is trying to get money out of you this time. However this is a deliberate attempt to hijack your computer. Quite what would happen next I don’t know but whatever it is, you don’t want it. Don’t ever be tempted to open attachments in emails like this. I wish to bring to your attention a personal complaint I have against a store. The fact of the matter is that I bought a pair of shoes at the value of P305 from them. To my disappointment the shoes got destroyed on the very first day I wore them. They broke beyond repair. To my futher disappointment when I went to report the issue at the shop,I was told I could not be assisted in anyway. I feel I have been unfairly treated as I have spent a lot of money on the shoes that I had thought will last me long. Yes I had seen the note that says NO REFUND,but I just bought the shoes with the hope that its Quality looking at the Price. So it would be painful not to be reimbursed or get the shoes changed like they said. I am therefore appealing to your honourable office to assist me in the above matter. I’m very sorry to hear of your problem. What actually happened to destroy the shoes? It's simply not acceptable of the store to tell you that they can’t help you. Section 13 (1) (a) of the Consumer Protection Regulations requires suppliers to offer goods that are "of merchantable quality". That means "fit for the purposes for which commodities of that kind are usually purchased, as it is reasonable to expect in light of the relevant circumstances". Clearly shoes should be wearable for a reasonable period of time, subject to normal "wear and tear". So long as you didn't do anything to mistreat or damage them you have a right to shoes that function properly. However the store is entitled to decide how they respond to a complaint like this. They are permitted to refuse a refund (so long as they made that clear from the outset) but they MUST offer a replacement or a repair instead. I suggest that you contact the store and explain that you've spoken to us, explain about Section 13 (1) (a) and see if they are prepared to replace the shoes. 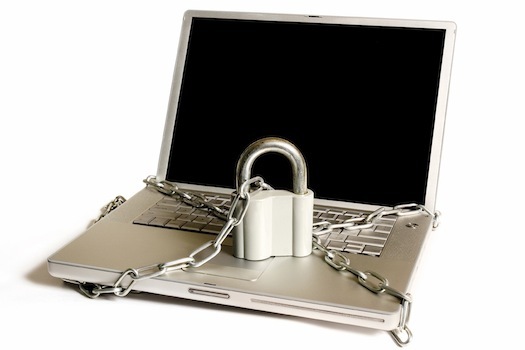 With so many emails going round loaded with virus payloads and so many opportunities to be lured towards web sites riddled with viruses it's insane not to have an anti-virus package on your PC. There's no excuse, particularly as they needn't cost anything. On our Windows-based computers we use Microsoft Security Essentials which is entirely free (even in business on up to 10 PCs) but we've also used AVG which has a free basic version. The alternative of course is to use a Mac. No viruses. I was told recently that service “works both ways”, meaning that both the supplier and the customer have obligations to each other. Yes, that’s true but it’s also a cliché. We all know that. Or do we? Many of the cases we’ve heard about over the last few weeks have started out sounding rather one-sided. The supplier has clearly seemed to be the guilty party. Until we started digging that is. That’s when it turned out to be the other way round. A couple of weeks ago I mentioned a case in which a consumer had been very upset to find out that the brand new car she had recently bought didn’t come with a motor plan. Unfortunately she said she only found this out when she took her car for it’s first routine service and was presented with a bill. She and the dealer disagreed on whether she had ever been told this but it is true that the particular model she chose was particularly cheap exactly because it didn’t come with the motor plan. That was an optional extra. We contacted the dealership and their MD was his usual helpful self. He called the customer in and offered her quite a good deal. Recognising that there had perhaps been a misunderstanding he offered her the motor plan for half price. So far so good. Frankly I think that’s a pretty good solution, don’t you? Unfortunately that’s when the customer decided to be ungrateful and ignore the offer. Some customers can’t be pleased. We also heard from a reader who wasn’t too happy with the service he received from a furniture store. Some time after purchasing a music system and a bed in 2009 the music system was stolen. Despite reporting this to the police and informing the store about the theft he was disappointed when the store refused to replace his stolen items. He’d been told when he originally bought the items that they would be insured. You can understand why I was initially rather concerned. This seemed very unreasonable so I got in touch with the MD of the chain of stores. That’s when I heard the other side of the story. It turns out that what I’d been told wasn’t the entire truth. In fact the customer had bought the items 5 years before he claimed, in fact in 2004. He had then fallen into appalling arrears with his repayments. So badly that after 4 years they listed him with ITC and he still owes them a small fortune. Of course by being in arrears the insurance scheme didn’t apply any more and I can’t really blame them for that. It’s interesting that in the past we’ve been accused by a small number of organisations of “always taking the customers’ side” in disputes but this simply isn’t true. While there are a few companies that treat their customers with contempt there are plenty who do genuinely understand that they have a responsibility to show their customers some respect and courtesy. However there’s a greater number of customers who think they can treat stores with contempt and that they can just ignore their side of the deal. But it’s not always customer who’s wrong. There’s still no shortage of pyramid schemes out there at the moment, an epidemic of them. Despite having been declared illegal in Namibia and being under active investigation by both the Hawks and The Reserve Bank in South Africa, TVI Express continues to rip people off here in Botswana. You just know, don’t you, that this failed? How can it have done anything else? How can P30,000 turn into P164,000 in the space of 3 months? If it was possible we’d all be rich by now. That’s the nature of pyramid schemes like TVI Express, they make extraordinary promises and always, always fail. They always leave everyone apart from the founder and his cronies poor. So perhaps it does sometimes work just one way. Sometimes it’s perfectly clear who the guilty party is, whether it’s a customer who won’t play ball or a pyramid scheme that deliberately abuses it’s victims and steals their money. Tankiso at Woolworths at the new Sebele Centre for putting a customer’s needs first. Kaisie at BPC for being helpful and for following up with a customer. I wonder if you can help me understand this Baariz product which I understand heals HIV/AIDS which I am NOT sure but i have had someone who testified was healed by this product. How true is it about this Baariz Tabs?? The Baariz "treatment" is complete nonsense. In my view it's no more than a scam. A very dangerous scam indeed. On their web site they clearly claim that their product can “cure” HIV but they give no actual description of what their product actually is other than it "has herbal origin" or that it is a "magic drug". In fact they give no idea of how their product is supposed to work and no real evidence of it actually doing anything. There show what look like test results on their web site apparently showing that people have gone from being HIV+ to HIV- but there is no reason to believe that these are genuine. Also, the references to scientific studies refer to "in vitro" tests of various substances having "anti-HIV" properties. "In vitro" means "in glass", in other words in a test tube or petri dish. That’s nothing remotely like a human trial. 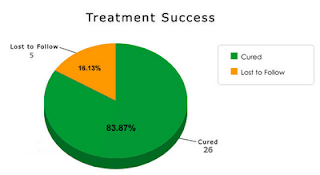 There is a reference on the Baariz web page to a clinical trial in humans but the results are no more than a single graph. That's not evidence, that’s just a made-up pie chart. There appear to be no other trials of their product done by unbiased qualified authorities. Finally, and without wishing to seem like a conspiracy theorist, if this really worked don't you think the big pharmaceutical companies would have taken this up by now? Not for humanitarian reasons, but simply to make enormous amounts of money? Despite what “alternative health” campaigners say, the pharmaceutical industry is always the first to buy up anything that will make them lots of money, including a “cure” for HIV/AIDS. Finally, anyone thinking of bringing Baariz to Botswana should be careful. Advertising such products contravenes Sections 396-399 of The Penal Code and they could end up in prison! A few weeks ago I called a cab company because I needed a cab to get me from school to my sisters house. One of their cab drivers collected me. When we got to my sisters house, I paid him P50. The charge for their cabs was P25. He said he did not have any change. We asked people around my sisters complex and they did not have change either. As I was going to need a cab later in the day, I told him this and he agreed to pick me up later. When I called him later he made an excuse about having to transport another customer and I either had to wait for an hour or find other cab. I took the second option. I told him that I’d need transport the next day from school and he agreed to pick me up. When I called, he had another excuse and said he’d drop the money off at my house. He said this about twice to no avail. For the next couple of days, I was fed a list of excuses. About 2 weeks later my mother called him and demanded the money and he said he would give it to me that Monday. He didn’t because he “wasn’t working” that day (after saying he was). I called the cab company and told them about this problem twice but they aren’t taking me very seriously and I’m quite annoyed. I feel its not fair that they take advantage of me in this manner. Can you help? Clearly this is not good enough. I can understand how frustrating this might be for you. Some may say it’s only P25 but that’s not the point, there’s a principle at stake. You are owed the money and are being consistently lied to by the driver. I suggest we talk to the manager of the cab company. Update. We spoke to the manager. He fixed it. The P25 refunded and an apology was delivered.